If you are anything like us, you have way too many bikes in your garage. A great way to make room for a few more is to hang some from ceiling. 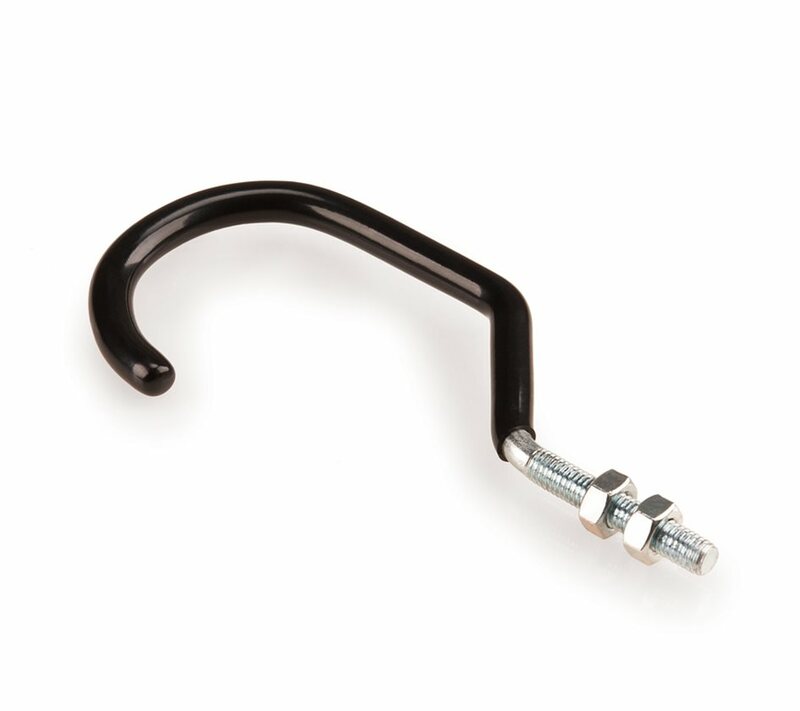 The Park Tool 470 Oversized hooks are designed to do just that and will fit large mountain bike tires or tall aero rims. With an inside width of 75mm (2.95") and a height of 150mm (5.9") you'll be storing those odd sized wheels with no problem.